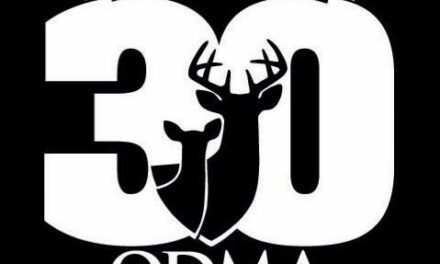 Tulsa, Okla. – Nov. 6, 2018 – The Habitat Organization is excited to announce the hiring of new Farm Bill Wildlife Biologists in the state of Oklahoma. Elizabeth Elliott (Claremore) and Tanner Swank (Woodward) will use their natural resource expertise to achieve Quail Forever’s mission of habitat conservation on private lands in the Sooner State, working to positively influence bobwhite quail and other wildlife populations. Supported through a strategic partnership with the Natural Resources Conservation Service and Quail Forever, Elliot and Swank will add much-needed capacity for private lands conservation assistance as part of the state’s Farm Bill Biologist Partnership. Commonly referred to as the “One Stop Shop” for anything conservation or wildlife-related on private lands, Pheasants Forever & Quail Forever Biologists possess the knowledge of federal, state, and local programs to assist landowners in finding the right program to meet their personal agriculture, wildlife, and land use goals. Elizabeth Elliott – Growing up in rural Iowa, Elliott was immersed in the outdoors and agriculture at an early age. 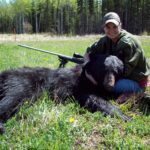 A graduate of Iowa State University in 2013 with a bachelor’s degree in Animal Ecology, Elliott spent time after college working in the field of environmental education and animal care, specializing in large cats. In 2016, Elliott was employed as a technician for Johnson County Soil and Water Conservation District in eastern Iowa, learning to apply conservation land management programs in a primarily agricultural setting. 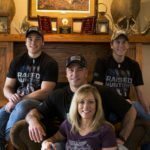 Tanner Swank – Growing up in wildlife-rich central Kansas, Swank developed a deep appreciation for hunting, fishing, and the outdoors in general. He graduated from Barton County Community College in 2016 with an associate degree in Biological Sciences before transferring to Oklahoma State University to complete a bachelor’s degree in Natural Resources Ecology and Management, as well as a minor in Wildlife Ecology and Management. In his free time, Swank enjoys being a wildlife artist and photographer. For more information about private lands conservation assistance in northwest Oklahoma, contact Tanner Swank at (620) 566-7179 or TSwank@quailforever.org.